What is the Floe Edge? Called “Sinaaq” in Inuktitut, the floe edge is also known as the “Line of Life”. It is where land-fast ice meets the open water of the Arctic Ocean. In spring, it becomes one of the most dynamic ecosystems in the world; and is the one place where all Arctic marine mammals come to co-mingle. 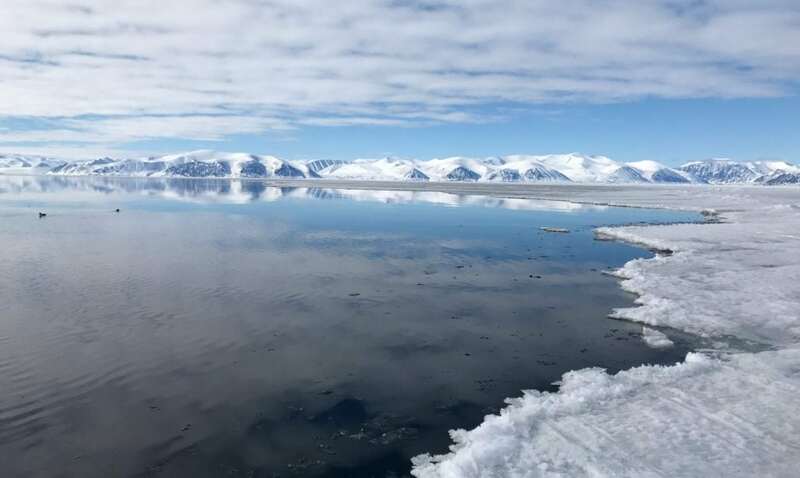 The floe edge of Lancaster Sound, world renowned as one of the most prolific wildlife areas in the Arctic, can be safely accessed from outside Pond Inlet, Nunavut. 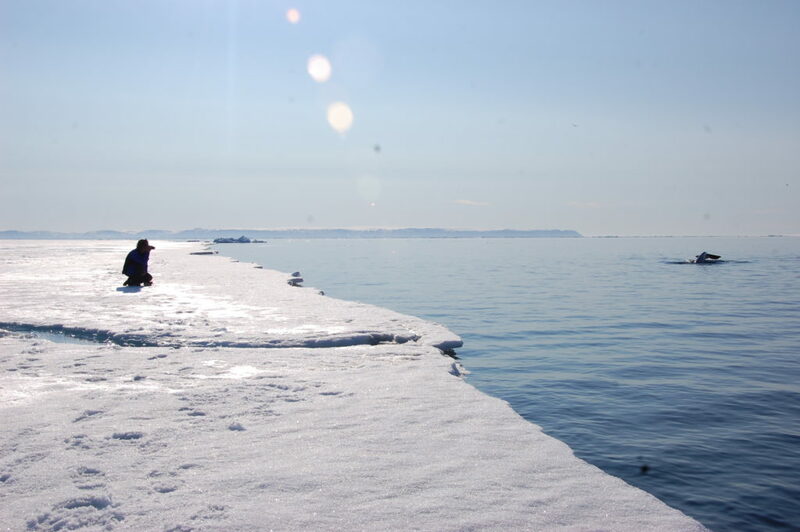 At the northern reaches of Baffin Island, peak floe edge season is May and June. Attracting photographers and adventurers from around the world, it is one of the most remarkable wilderness experiences on the planet. 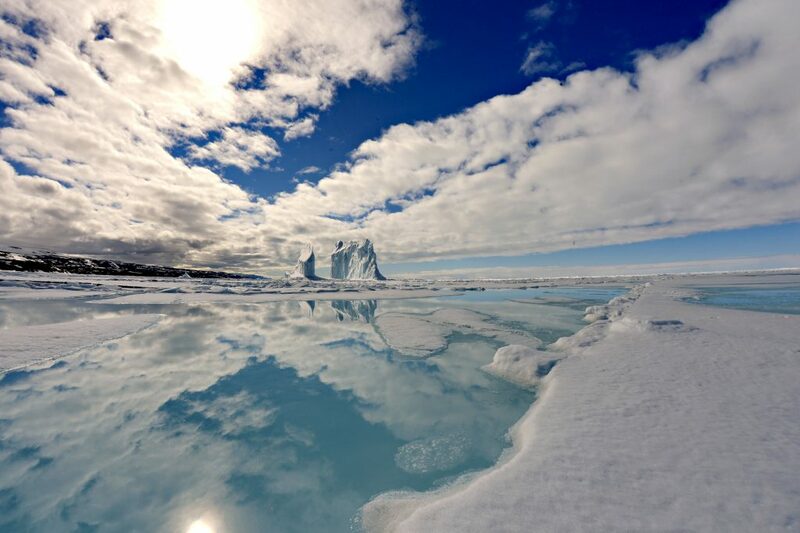 Arctic Kingdom’s very own Jason Hillier sums up the reasons why the floe edge is so spectacular, calling it “one of the most amazing places on Earth”. The floe edge in May and June offers some of the best opportunities to witness rare wildlife events. 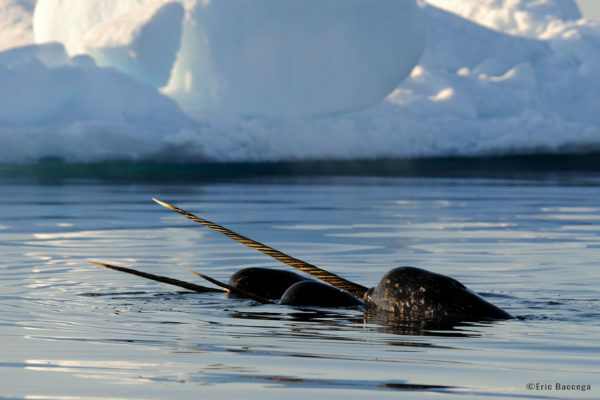 This can include large pods of tusked narwhal as they congregate at the floe edge during the annual migration to their summer feeding grounds. You may also get the chance to see large bowhead whales breaching, comical beluga, and polar bears prowling for seals. At this time of year, the High Arctic is also home to thousands of species of migratory birds. The vast sea ice, majestic mountains, glaciers, and soaring icebergs make the spring floe edge even more special. The floe edge of Lancaster Sound, near Pond Inlet, is especially incredible for photography because it provides opportunities to capture shots of wildlife among spectacular scenery. With a backdrop of dramatic land and icescapes, photographers of every level are sure to get incredible shots. The north eastern coastline of Baffin Island is ranked as one of the world’s greatest iceberg galleries. The floe edge provides opportunities for travellers to view and photograph thousands of years old icebergs, calved from Greenland. You may also get the chance to encounter glaciers – and possibly even drink tea made from glacial melt-water! This natural phenomena occurs above the Arctic Circle in the spring and summer months. In May and June the sun is constantly shining for 24-hours a day. These long hours of daylight mean more uninterrupted opportunities for adventure and wildlife encounters. The unique lighting of the Midnight Sun is also amazing for stunning photography. Another plus? The sunshine makes the temperatures of Arctic spring (which can get up to +10°C in June!) feel even warmer. Travel tip: Don’t forget to pack a sleep mask! Want to experience the floe edge? Looking for a private floe edge tour? 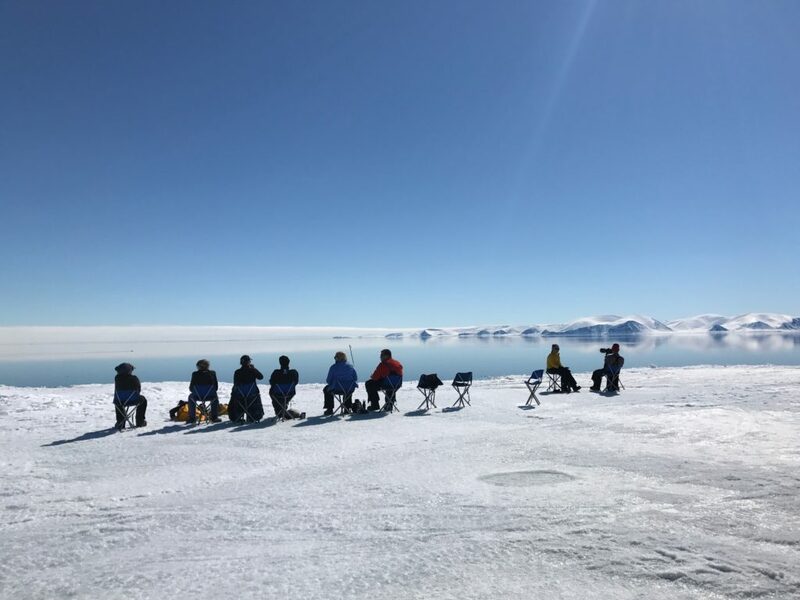 Check out the Ultimate Floe Edge Explorer, with departures in June and July, or contact us to craft a bespoke experience. Arctic Jeopardy: Questions About the Arctic?? When is the Best Time To Visit The Arctic?